The Freight Transport Association (FTA) is calling upon the prime minister to provide reassurances that the nation's logistics providers will be given the recognition they deserve when it comes to helping drive a sustained recovery. FTA director of policy Karen Dee has argued more now needs to be done to give the logistics sector the recognition it richly deserves in helping to keep the country working, with the new government needing to focus on the issues facing this industry to ensure a stable and sustainable recovery in the years ahead. With the surprise election result of a majority Conservative government being announced last week, the FTA now believes that Westminster officials must now focus on addressing the key issues of an ongoing professional driver shortage and the increasing cost of operation, most notably fuel. "FTA is the leading trade association representing the operators and customers of all modes of freight transport – road, rail, water and air," Ms Dee stated. "Our objective is to ensure that the UK has a safe, efficient and sustainable supply chain, and we sincerely hope that the new government will support us in these goals." 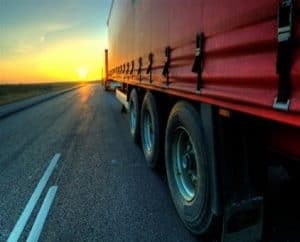 Developing infrastructure to promote a swifter and more efficient transport of goods around the UK will be a chief aim of the next government, while the FTA believes meeting the needs of freight operators should also be high on the political agenda.